In this weeks newsletter we hear from two of our parkrun directors who have recently had the oportunity to race abroad. We also share a few photos from the one year anniversary of parkrun South Africa and the celebrations that took place recently. There is not much we require from our parkrunners, but one important request is that each parkrunner registers, prints a barcode, and brings that along on parkrun morning. That requirement not only makes the job of our parkrun volunteers that much easier but also makes the life of the parkrunner so much more interesting. The barcode enables us to give each parkrunner their time, their position, their age graded performance, and the number of parkruns they have run. It also helps us to inspire runners. There is nothing better than seeing the magic words “New P.B. !” next to your name. I know! I read those exciting words next to my name after last Saturday’s Ebotse parkrun! The barcode also doubles as an international passport to parkruns all around the parkrun world. Last month I was fortunate enough to travel to Ireland to run the Dublin marathon. Since the marathon was run on a Monday I thought it would be a great idea to run a parkrun in Belfast on the Saturday. Gill and I caught a bus to Belfast and we were warmly met by the very hospitable Margaret “Mags” Mathieson. Irish country manager, Matt Shields had recommended we run the Belfast Waterworks parkrun and Mags drove us there. What a gem of a parkrun it is! The route follows concrete paths through a lovely park, past a lake teeming with ducks, seagulls, coots, and majestic swans. 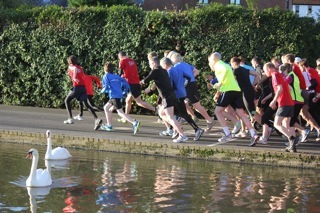 Despite being cold, the morning was bright and a parkrun throng of over 100 set off on the two lap course. Up front the pace was fast and furious and my 18:55 was good enough only for 11th place, but in every respect this was a typical parkrun. There were the usual runners, joggers, walkers, babies in prams and loads of parkrunners having fun. But what was really gratifying was to witness how well our passport, the barcode, works. That very afternoon my results were sent to me in exactly the same format as if I had run at Delta, or Summerfields or Roodepoort. After the parkrun, some of us breakfasted at the Café Divine which boasts a ferocious manager who makes Fawlty Towers’ John Cleese look tame by comparison. But that really didn’t matter, Gill and I had a truly memorable time and were shown great Irish hospitality. I am so delighted to have experienced first-hand how neatly the parkrun system works, wherever one travels. 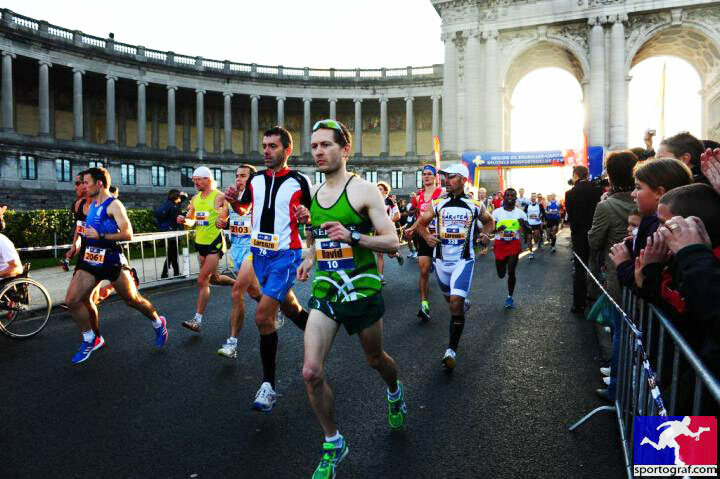 Roodepoort parkrun director, David Ashworth, has recently returned from Belgium where he participated in the annual Brussels Marathon, finishing in a time of 2 hours and 31 minutes, placing 4th overall. What a fantastic achievement!! This goes to show that parkrun is not only for runners and walkers who prefer the shorter distances, but absolutely everyone. Well done David. David was a little disappointed that Belgium has not caught the "parkrun bug" yet. Hopefully the parkrun concept will be introduced to the Belgians soon so that we may have our South African representatives flying our flag in the land of beer, waffles and chocolate! It’s true, parkrun can be a relaxed and altogether enjoyable affair. However, my most recent event was far from that, as I (aged 48), pushed myself to the limit running chest to chest with a flying 18 year old. But I wasn’t racing him, not him personally, I was locked in a virtual war with a 60+ lady, a 40+ ex-Olympian / World Record holder, a Comrades legend and my future and past self. I was competing in ‘The Age Graded League’. As my mind bounced against my body’s internal governor, I imagined my challengers closing in on me, surging for the finish. Would I receive the deadly handshake as Bruce surged by or should I look out for an ankle tap?! In reality, Zola Budd was most probably asleep in the far off USA, Eileen Greenblatt was charging around Delta Park and Bruce Fordyce was running the Dublin Marathon, but such details would not distract me from the task at hand. I wanted the top spot on ‘The Age Graded League’. As a result, I now have a yardstick against which I will, over time, challenge my aging body, racing against both myself and my peers. But for now, that can wait... my next parkrun will be of the more tranquil type….maybe…. 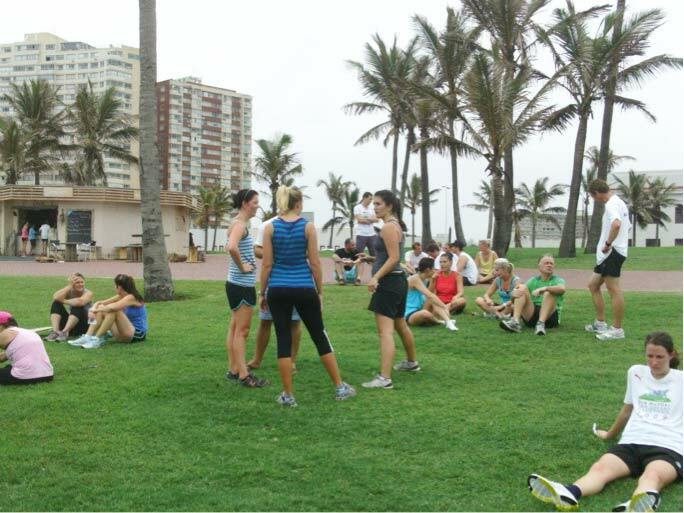 The second running of the North Beach parkrun was met with great excitement as first time runners got to experience the event in the Durban heat. Despite the warm conditions, North Beach is now the proud host of South Africa’s fastest female parkrunner. Sarah King managed to top the previous record held by Zola Budd of 19:55 with a great run and personal best of 19:42. Well done Sarah! Set to be the fastest run in SA, we look forward to local and neighbouring parkrunners testing their hand at our flat but challenging sea level course. 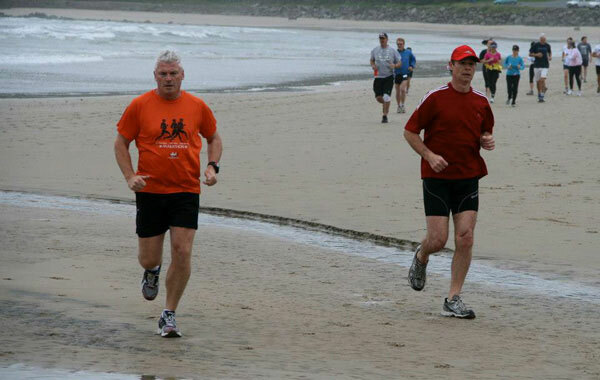 In contrast, it was wet and rainy on Saturday, 17 November at the third North Beach parkrun. Despite the miserable weather, the event was host to some very enthusiastic runners and walkers, all of which had a fun time. The majority of the field was made up by first timers with many of the new parkrunners commenting on the great concept, course, scenery and vibe. The flat and fast, out and back, loop on the beach front promenade has already seen some of our regulars shaving minutes of their P.B.s - always great to see! A special mention this week must go to two of our youngsters. Danniella Arrigo and Campbell Knight who are only 13 and 11 years old respectively, both came in under 22 minutes, Daniella being our first female runner of the day. Well done to both of them! 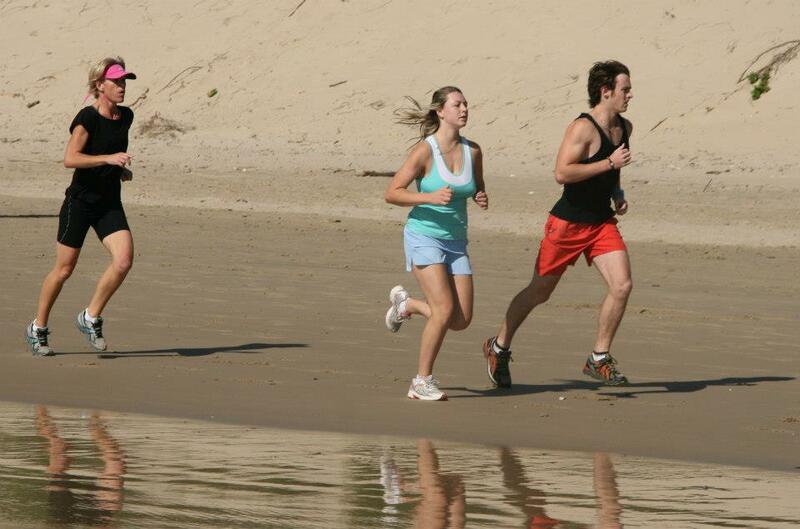 Nahoon Point parkrun has now been on the go for a tad over three months and continues to show positive growth. The unusually cold spring has finally given way to some heat and humidity, thus offering a new challenge to the runners and walkers alike. The tough nature of the route can best be demonstrated by a P.B. comparison by one of our top regular male runners who has a 17 plus minute P.B. on the road but only a 23 plus minute P.B. at parkrun! We definitely do not have a speedster course, but all who participate come away gobsmacked by the beauty and hidden treasures that are revealed along the route. Our Facebook page keeps participants informed and there is a fair amount of banter taking place. Many thanks to our superb photographers for their contributions each week. With a new record field of 266 finishers - there were also six balers - we think we are ready to introduce a “little brother” parkrun in the New Year. The new event is scheduled for 5 January 2013 and will take place in the Kwelera - also known as Sunrise-on-Sea - region. By road this is about 25km from Nahoon Point and is synonymous with the start of the famous Discovery Surfers Challenge. These are exciting times for our lovely city. We just wanted to drop a quick email to say a big thank you for the welcome you showed us on Saturday the 27th November. Although it was our first parkrun overseas, being registered in Richmond Park in London, for Alison it felt more of a home event as she was brought up just a stones throw from Delta Park. Since your parkrun started, 50 events ago, she has been excited to take part - so it is a running ambition achieved. For myself, the feeling was more one of terror at having to face the effects of running at altitude. The previous two weeks training regime of daily Castle Lager and Pinotage didn't help my confidence. However, the welcome we received from people upon hearing a foreign accent and then seeing the much treasured red 50 parkrun T-shirts made us feel like running celebrities, at least until we started running. In the end we settled for a slow and steady pace, particularly on the uphill sections (most of the 5km it felt like). I do however think that if you had told us about the resident snakes before the start I would have been much more likely to set a PB! Good Luck for the upcoming 1st Birthday celebrations, and good luck also to the guys from Durban with their new event. A big thanks to the Organizer and Sponsors for the fabulous prize that I received as a result of becoming the highest in the points system. Also, for the lovely cake and the whole set up with Balloons etc. It was just perfect. Well done to ALL of you. I’m looking forward to a great 2nd anniversary celebration at Delta parkrun (ONCE A DELTA ALWAYS A DELTA). Once again, thanks and see you next Saturday (catch me if you can). In this week’s newsletter, we read all about the two newest parkruns in South Africa. 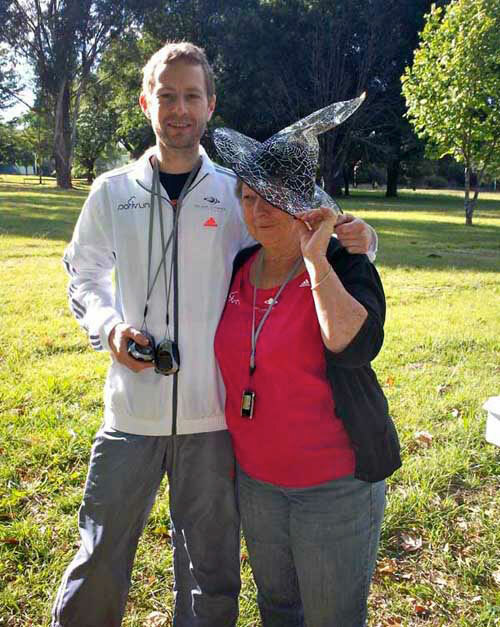 Roodepoort parkrun hosted a ‘Halloween’ themed parkrun and Delta parkrun will be celebrating their first birthday this Saturday! 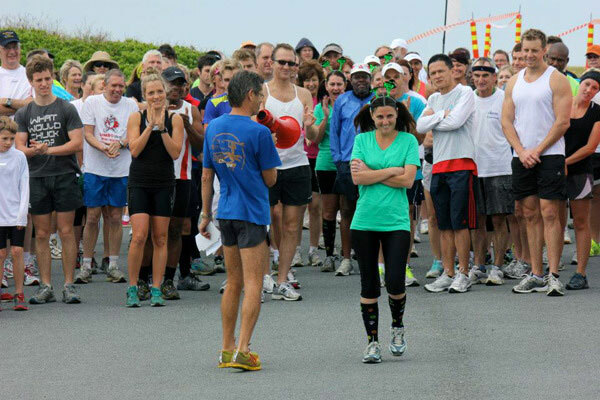 Things are really getting exciting at parkruns in South Africa. Our family has grown with the addition of two more parkruns. 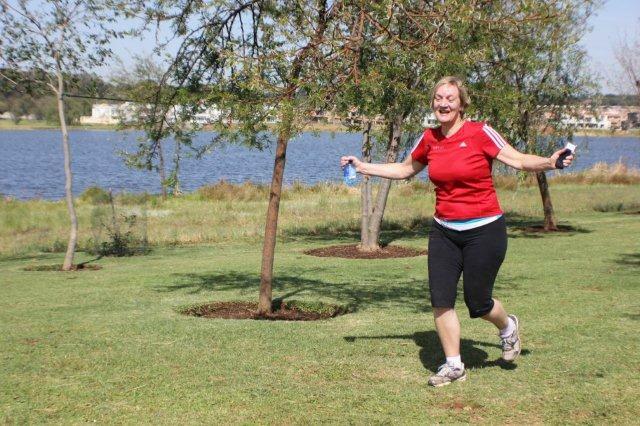 Two weeks ago we launched the lovely Summerfields parkrun near Hazyview. What a gem that parkrun is going to be. 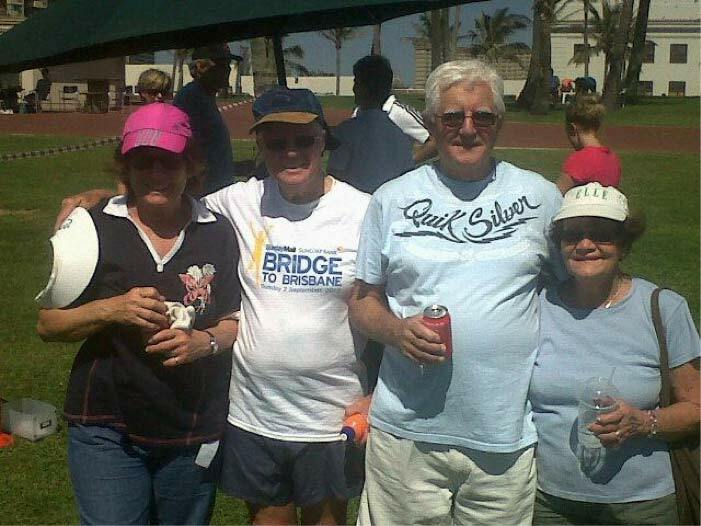 With the volunteer assistance of Clive Smart, Ilse and Andre Van Heerden, they have created a special parkrun. 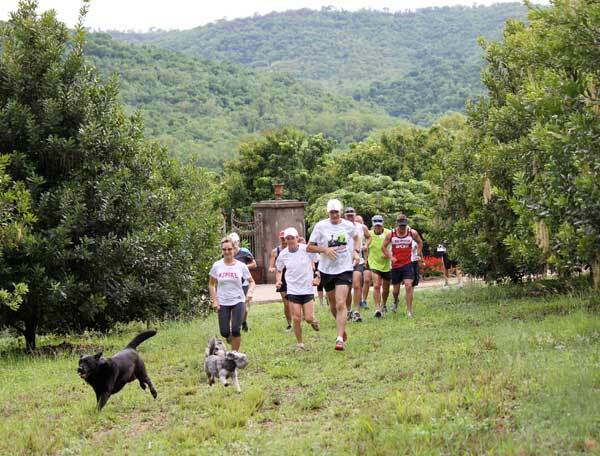 Running through orchards, riverine forest and along the banks of the Sabie River, this parkrun is a must for all runners. The route poses quite a challenge with steep climbs and twists and turns through the forest. The last kilometre, however, is downhill and fast to a finish on the grass outside the resort restaurant. Anyone travelling down to Mpumalanga or to the Kruger National Park should try to include this parkrun experience. 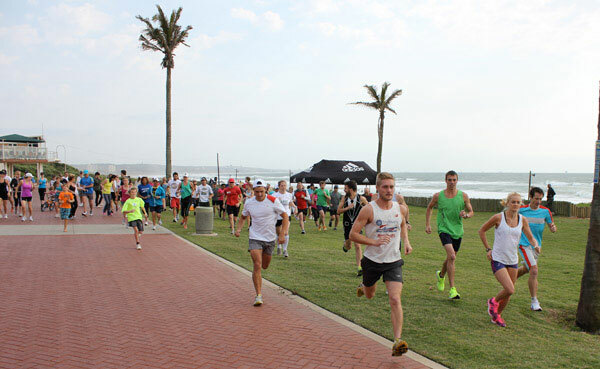 On Saturday the 3rd of November, we launched the Durban North Beach parkrun. 74 Runners set off down the Durban Esplanade alongside the Indian Ocean. The route is a simple 2 ½ km out-and-back course. Our parkrunners experienced a strong, blustery headwind on the homestretch. There was much excitement afterwards and praise for Lisa Raleigh and her hardworking volunteers, Stefan and Jenna. parkrunner Sandy Koenig last ran at Bushy Park in the UK two years ago. She was very excited that the concept had finally come to South Africa and more importantly, to Durban. “I’ll be bringing all my friends next week” she said. At the same time that we launched two new parkruns there is another significant birthday to celebrate. We started parkruns in South Africa a year ago at Delta Park with 26 runners and a dream to make parkruns a success in South Africa. Who would have thought that a year later we would have well over 4000 registered parkrunners, a parkrun family of 6, and possible future parkrun interest in Cape Town (3), Modderfontein, Pietermaritzburg, and Frankenwald, with more enquiries arriving every week. To celebrate our 1st birthday at Delta, I would like to encourage all Delta parkrunners to join us for a special run. There will be a cake! Please bring your own refreshments. It is hard to believe that Delta’s first anniversary is upon us! 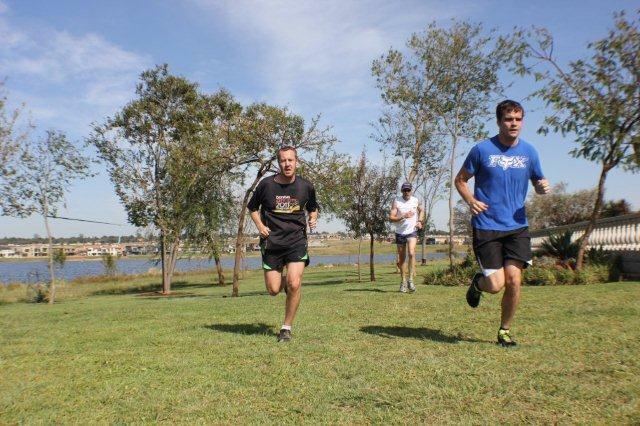 On the 12th Nov 2011, 26 runners took part in the first parkrun event held in South Africa. Since then it has grown in stature and is regarded as one of the more demanding but pleasant parkrun courses to run. Attendance now averages around 100 per event. Its success is due to all that partake. A special big “thank you” must go to all our volunteers, especially Cara and Caley. Their continuous Saturday morning sacrifice is much appreciated! And of course to Gill and Bruce Fordyce whose foresight made it happen in Africa. 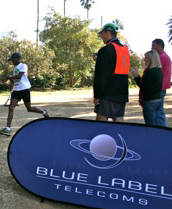 Finally, to our sponsors; Blue Label and adidas, thank you for your support. This month’s Randburg Runners award goes to Innocent Ndlovu. At event 50, Innocent Ndlovu was first over the line in 18:22 and Rita Susan Loots in 25:44. Event 51 saw Edward Steere in at 19:50 and Helena Oberholzer in at 23:05. Zola Budd still holds the record at 19:57 and Motsamai Lucas Rantho with a blistering 16:51. To all pet owners, please ensure that your pets are on leads especially at the start of an event. The volunteer system is an integral part of parkruns. Please support it whenever you can! Saturday, 20th of October, parkrun was filled with a touch of class. 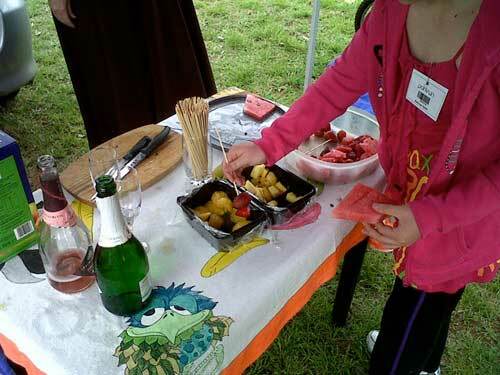 Pauline, from Florida Running Club, served all Roodepoort parkrunners with Champagne glasses filled with fresh juice and Champagne, as well as strawberries, pineapple, watermelon and other fruit on a skewer! What a way to start your Saturday morning! 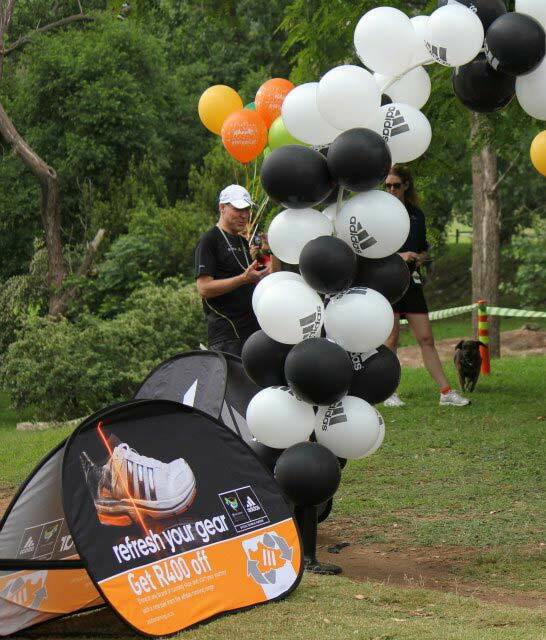 Our biggest field was recorded on 27 October, which saw a field of 84 runners finishing Roodepoort parkrun. Our numbers are steadily increasing. Roodepoort parkrun made the best of a very busy running weekend that drew many runners to other nearby running events and races. On Saturday 3 November, Constantia Kloof Primary School, situated 2km from Len Rutter Park - home to the Roodepoort parkrun - hosted their annual 10km and 5km fun run. Many of our long-distance runners took the day off to rest up before Sunday's Soweto Marathon. Despite the lure of a change in running scenery, we were lucky enough to have a well sized field, including a few new runners that joined us at our 'Halloween parkrun.' 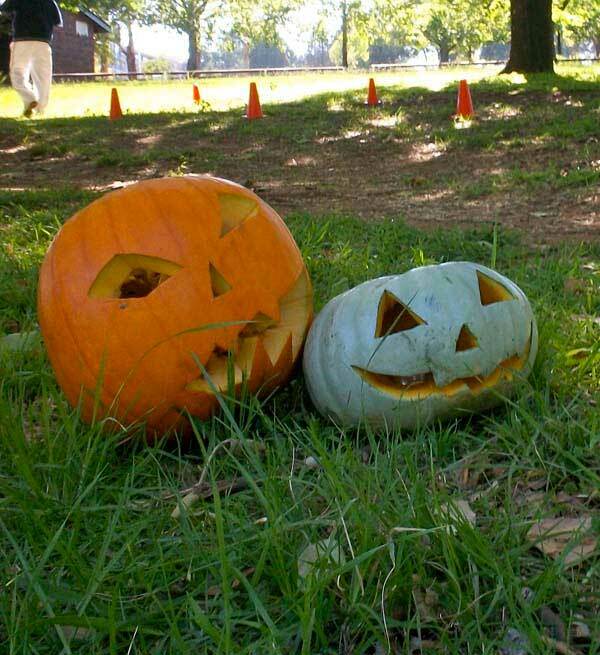 The finishing area was decorated with Jack-o-Lanterns and sweets were handed out to runners in the spirit of “trick-or-treat”. Thank you to our volunteers who did	an amazing job in helping out with this fun-filled day of parkrunning. Thank you also to all our dedicated parkrunners! Congratulation to Clinton Kruis, our shoe draw winner for October. As always, thank you to Randburg Runner for sponsoring the prize! “What a success! Durbanites showed impressive support for the first-ever North Beach parkrun, despite the howling wind and chilly temperature. 74 eager runners joined the parkrun team down on our local shores for the 5km group run. Ultra Marathon-legend and parkrun SA CEO, Bruce Fordyce, and his wife Gill showed their support , and parkrun event directors, Jenna and Stefan van der Merwe of Lungile Health, were on hand to ensure smooth sailing throughout the event. In addition to the already charged atmosphere, was the SUNfit Zumba sessions and FLUX Kettlebell training, both taking place alongside the our parkrun event. The Durban adidas team was on hand, giving technical advice to the parkrunners, some of whom tried out adidas shoes for the run. 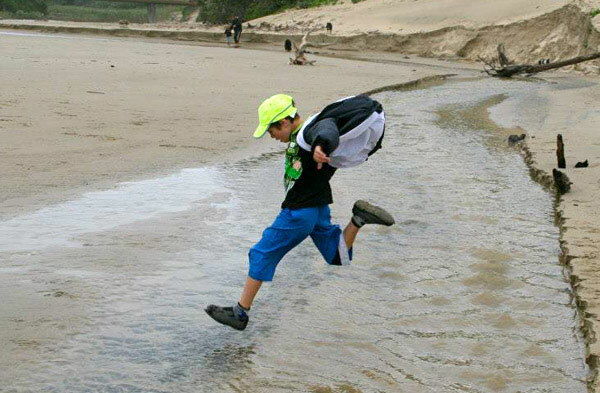 Here are a few of our favourite pictures from the past two weeks at Nahoon parkrun. On Saturday 3rd November it was Ebotse’s 19th run and I stood in as run director whilst Iain Morshead was away on a much deserved break from the parkun. He was walking the Otto Trail I was told. Thankfully, this week no Gremlins set in, as on a previous occasion when both stop watches stopped working! The less I say the better. It was quite intimidating for me, but it all worked out in the end with help from the volunteers including Bruce’s wife Gill. Iain has finished first at Ebotse parkrun on all seven occasions that he has taken part in. Six of these being consecutive firsts and is fast making a name for himself at parkrun. Iain is also the current age graded record holder at 80.72% Well done Iain! Since its launch, Ebotse parkrun has had an average of 80 runners per week taking part with only two events being cancelled. The cancellations were due to a severe thunderstorm and the other, to the Ebotse Mile Swim - which was also cancelled at the last minute. It was unfortunately too late to notify parkrunners that we would not be going ahead with parkrun as usual. We apologised to a few runners who did turn up expecting to run. It is always a pleasure to have a celebrity like Bruce at these events as with his presence there seems to be a lot of enthusiasm and excitement amongst the newer and younger runners. Please invite your friends or family to join us at Ebotse in this safe and beautiful environment and see what all the fuss is about. Remember, running is still one of the simplest forms of physical activity with minimal investment … All you need is a pair of shoes, shorts and top, and get out of bed early. It’s the fun, friendly atmosphere of the fellow runners and the beautiful environment that seems to entice runners to come back for more. After the parkrun, runners and their family are invited to join us at the Ebotse Clubhouse for breakfast or coffee. The restaurant has a stunning view over the lake. Finally, many thanks to all the volunteers who have helped out over the past few runs, you all earned valuable points! All Delta parkrunners are invited to join us for a very special run on Saturday. There will be a cake for everyone! Please bring your own refreshments.